YANMAZ, K. , ALTAS, I. H. , MENGI, O. O. Power quality is one of the important issues in wind energy systems as in all renewable energy systems. Reactive component of current in distribution systems causes negative effects on the network, including power loses, voltage drop, and reduced line capacity. Static Synchronous Compensator (STATCOM) has been used increasingly instead of conventional devices such as switched capacitor groups and Static Var Compensator (SVC) to improve the power quality. Flexible AC Transmission System (FACTS) devices such as STATCOM are also used in power distribution systems and called Distribution STATCOM (D-STATCOM). D-STATCOM is used to improve the power quality in distribution systems as an inverter based device. Fixed parameter conventional PI controllers are usually used to control D-STATCOM devices. D-STATCOM device used in a wind power distribution system has a voltage-controlled inverter structure based on a five-level H-bridge topology. A new indirect current control scheme based on synchronous reference frame theory is proposed to produce gate pulses that are needed for the inverter. A fuzzy adaptive PI controller (FLCM-PI) is designed and used in the control scheme such that the parameters of the PI controller are modified by a fuzzy logic controller (FLC) to adapt the operation for changing conditions. The D-STATCOM topology with the proposed controller is simulated and experimentally tested. J. M. Carrasco, L. G. Franquelo, J. T. Bialasiewicz, E. Galvan, R. C. P. Guisado, M. A. M. Prats, J. I. Leon, and N. M. Alfonso, "Power-Electronic Systems for the Grid Integration of Renewable Energy Sources: A Survey," IEEE Transactions on Industrial Electronics, vol. 53, no. 4, pp. 1002-1016, 2006. T. Ackermann, "Wind Power in Power Systems", pp. 257-282, John Wiley & Sons Ltd., 2005. P. Gonzalez, and A. Cerrada, "Control System for a PWM-based STATCOM," IEEE Trans. Power Delivery, vol. 15, pp. 1252-1257, 2000. P. Rao, M. L. Crow, and Z. Yang, "STATCOM Control for Power System Voltage Control Applications," IEEE Transaction on Power Delivery, vol.15, no.4, pp. 1311-1317, 2000. L. Lu, Z. Xie, X. Zhang, S. Yang, and R. Cao, "A Dynamic Wind Turbine Simulator of the wind turbine generator system," International Conference on Intelligent System Design and Engineering Appl., pp.967-970, 2012. J. Hussain, and M. K. Mishra, "Design and development of real-time small-scale wind turbine simulator," IEEE 6th India International Conference on Power Electronics, pp. 1-5, 2014. Md. Arifujjaman, M. T. Iqbal, and J. E. Quacioe, "Development of an Isolated Small Wind Turbine Emulator," The Open Renewable Energy Journal, pp. 3-12, 2011. A. Sokolovs, L. Grigans, E. Kamolins, and J. Voitkans, "An Induction Motor Based Wind Turbine Emulator," Latvian Journal of Physics and Technical Sciences, vol. 51, no. 2, pp. 11-21, May 2014. J.-S. Lai, and F. Z. Peng, "Multilevel converters-a new breed of power converters," IEEE Transactions on Industry Applications, vol. 32, no.3, pp. 509-517, 1996. S. Kouro, M. Malinowski, K. Gopakumar, J. Pou, L. G. Franquelo, B.Wu, J. Rodriguez, M. A. P´erez, and J. I. Leon, "Recent advances and industrial applications of multilevel converters," IEEE Trans. Ind. Electron., vol. 57, no. 8, pp. 2553-2580, Aug. 2010. A. Luo, C. Tang, Z. Shuai, J. Tang, X. Y. Xu, and D. Chen, "Fuzzy-PI based direct output-voltage control strategy for the STATCOM used in utility distribution systems," IEEE Trans. Ind. Electron., vol. 56, no. 7, pp. 2401-2411, Jul. 2009. H. Akagi, S. Inoue, and T. Yoshii, "Control and performance of a transformerless cascade PWM STATCOM with star configuration," IEEE Trans. Ind. Appl., vol. 43, no. 4, pp. 1041-1049, Jul./Aug. 2007. Z. Xuehua, and S. Liping, "Current Decoupling Control Strategy of Medium Voltage Cascaded Multilevel STATCOM," Sensors and Transducers, vol.181, no. 10, pp. 101-110, October 2014. I. H. Altas, E. Ozkop, and A. M. Sharaf, "A novel active filter strategy for power mitigation and quality enhancements in a stand-alone WECS," International Conference on Electrical and Electronics Engineering, pp. I-88-I-91, 2009. F. Botteron, H. Pinheiro, H. A. Grundling, J. R. Pinheiro, and H. L. Hey, "Digital voltage and current controllers for three-phase PWM inverter for UPS applications," in Proc. IEEE Ind. Appl. Conf., pp. 2667-2674, Sep. 2001. W. Yao, H. Hu, and Z. Lu, "Comparisons of space-vector modulation and carrier-based modulation of multilevel inverter," IEEE Trans. Power Electron., vol. 23, no. 1, pp. 45-51, Jan. 2008. S. Wei, B. Wu, F. Li, and C. Liu, "A general space vector PWM control algorithm for multilevel inverters," in IEEE Appl. Power Electron. Conf. Expo., vol. 1, pp. 562-568, Feb. 2003. V. G. Agelidis, A. Balouktsis, and M. S. A. Dahidah, "A five-level symmetrically defined selective harmonic elimination PWM strategy: Analysis and experimental validation," IEEE Trans. Power Electron., vol. 23, no. 1, pp. 19-26, Jan. 2008. M. S. A. Dahidah, G. Konstantinou, and V. G. Agelidis, "SHE-PWM and optimized DC voltage levels for cascaded multilevel inverters control," in Proc. IEEE Symp. Ind. Electron. Appl., pp. 143-148, 2010. H. Akagi, H. Fujita, S. Yonetani, and Y. Kondo, "A 6.6-kV transformerless STATCOM based on a five-level diode-clamped PWM converter: System design and experimentation of a 200-V 10-kVA laboratory model," IEEE Trans. Ind. Appl., vol. 44, no. 2, pp. 672-680, Mar./Apr. 2008. Q. Song, W. Liu, and Z. Yuan, "Multilevel optimal modulation and dynamic control strategies for STATCOMs using cascaded multilevel inverter," IEEE Trans. Power Del., vol. 22, no. 3, pp. 1937-1946, Jul. 2007. K. Sano, and M. Takasaki, "A transformerless D-STATCOM based on a multivoltage cascade converter requiring no dc sources," IEEE Trans. Power Electron., vol. 27, no. 6, pp. 2783-2795, Jun. 2012. 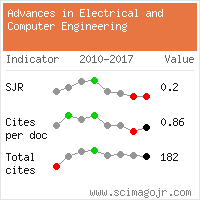 I. H. Altas, and A. M. Sharaf, "A generalized direct approach for designing fuzzy logic controllers in matlab/simulink gui envirement," international journal of information technology and intelligent computing, Int. J. IT&IC, no.4 vol.1, 2007. I. H. Altas, and O. O. Mengi, "A Fuzzy Logic voltage Controller for off-grid wind turbine supercapacitor renewable energy source," International Conference on Electrical and Electronics Engineering (ELECO), pp. 62-66, 2013. K. Yanmaz, I. H. Altas, and A. M. Sharaf, "Application of fuzzy reasoning based power filter and dynamic voltage regulator for single phase micro wind power generation systems," International symposium on innovations in intelligent systems and applications (INISTA), 2012. J. Xie, X. Kong, X. Huang, and Q. Yang, "Application of self-adaptive fuzzy PI control in the air-conditioning system," 2010 Chinese control and decision conference (CCDC), pp. 2999-3002, 2010. G. Wang, Z. Ping, J. Zhang, and Y. Guo, "Decoupling Control Strategy of D-STATCOM," Telkomnika, vol. 11, no. 6, pp. 3285-3292, 2013. E. Sahin, I. H. Altas, "FPA Tuned Fuzzy Logic Controlled Synchronous Buck Converter for a Wave/SC Energy System" Advances in Electrical and Computer Engineering, vol. 17, no. 1, pp. 39-48, 2017. P. K. Jin, M. S. A. Dahidah, and C. Klumpner, "Nine-level SHE_PWM VSC based STATCOM for VAR compensation," in Proc. IEEE Int. Conf. Power Energy, 2010, pp. 135-140. D. Masand, S. Jain, and G. Agnihotri, "Control strategies for distribution static compensator for power quality improvement," IETE Journal of Research, vol. 54, no. 6, pp. 421-428, Nov-Dec. 2008. 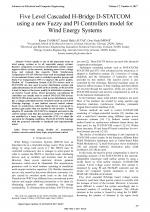 P. Sotoodeh and R. D. Miller, "Design and implementation of an 11-level inverter with FACTS capability for distributed energy systems," IEEE J. Emerg. Sel. Topics Power Electron., vol. 2, no. 1, pp. 87-96, Mar. 2014. Z.Wang, B.Wu, D. Xu, and N. R. Zargari, "Hybrid PWM for high-power current-source-inverter-fed drives with low switching frequency," IEEE Trans. Power Electron., vol. 26, no. 6, pp. 1754-1764, Jun. 2011. P. Palanivel, S. S. Dash, "Analysis of THD and output voltage performance for cascaded multilevel inverter using carrier pulse width modulation techniques," IET Power Electronics, vol. 4, no. 8, pp. 951-958, 2011. P. Hamedani, A. Shoulaie, "A Comparative Study of Harmonic Distortion in Multicarrier Based PWM Switching Techniques for Cascaded H-Bridge Inverters," Advances in Electrical and Computer Engineering, vol. 16, no. 3, pp. 15-24, 2016. Citations for references updated on 2019-04-21 00:22 in 232 seconds. Website conception, design and maintenance by Eugen COCA. Content updated on 28 Feb 2019. Site engine updated on 28 Feb 2019. This page was generated on the server in 0.021 seconds and loaded in your browser in > seconds.